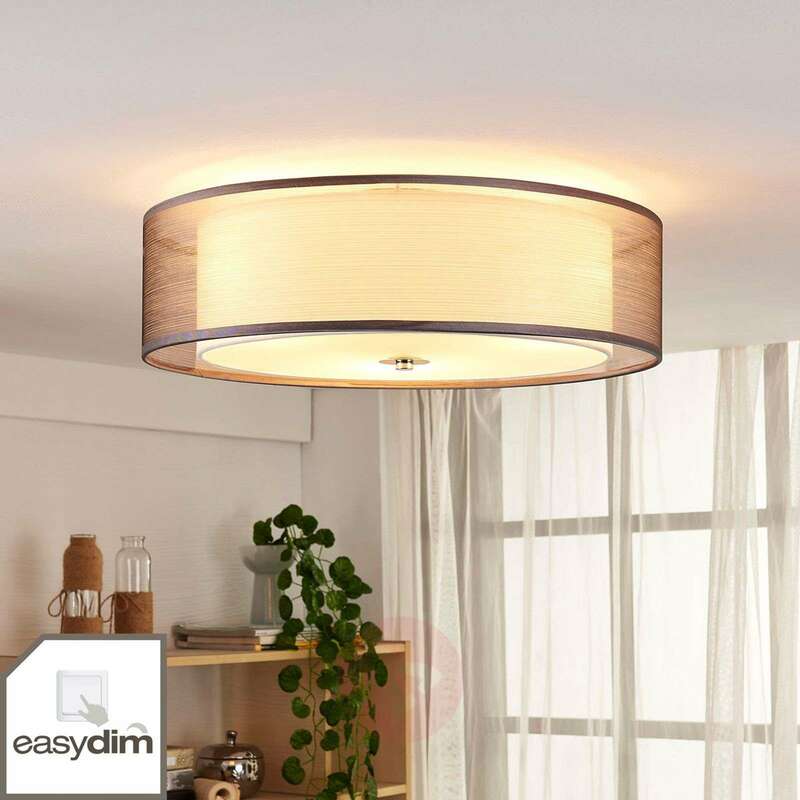 Tobia combines a white lampshade with a dense texture and a lampshade made from grey organza, which together produce an elegant appearance which fits into a number of modern interior designs. 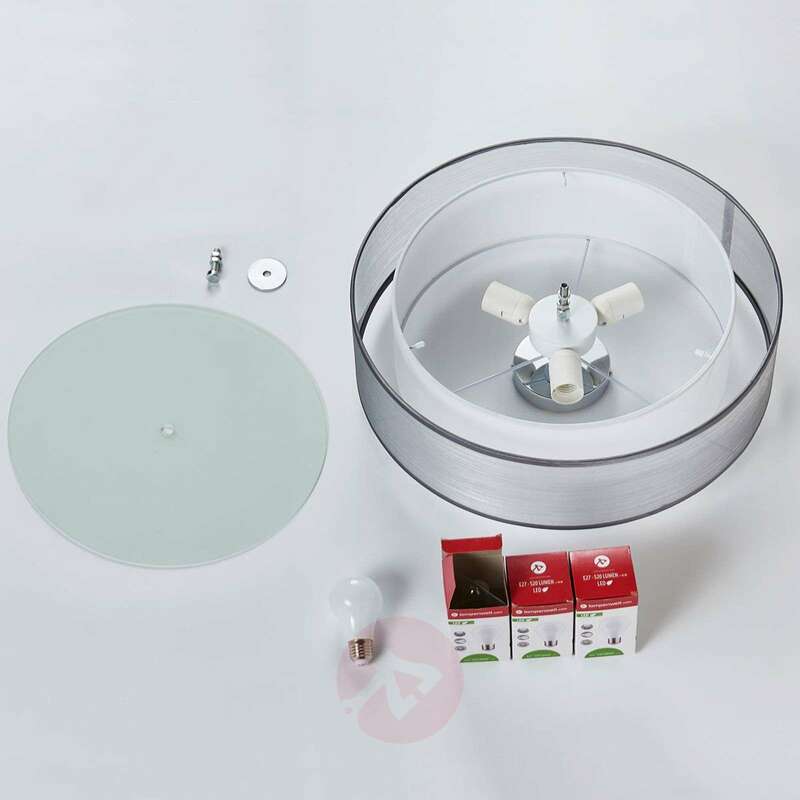 The lampshade also has a glass diffuser at the bottom, so that the light is as soft as possible. 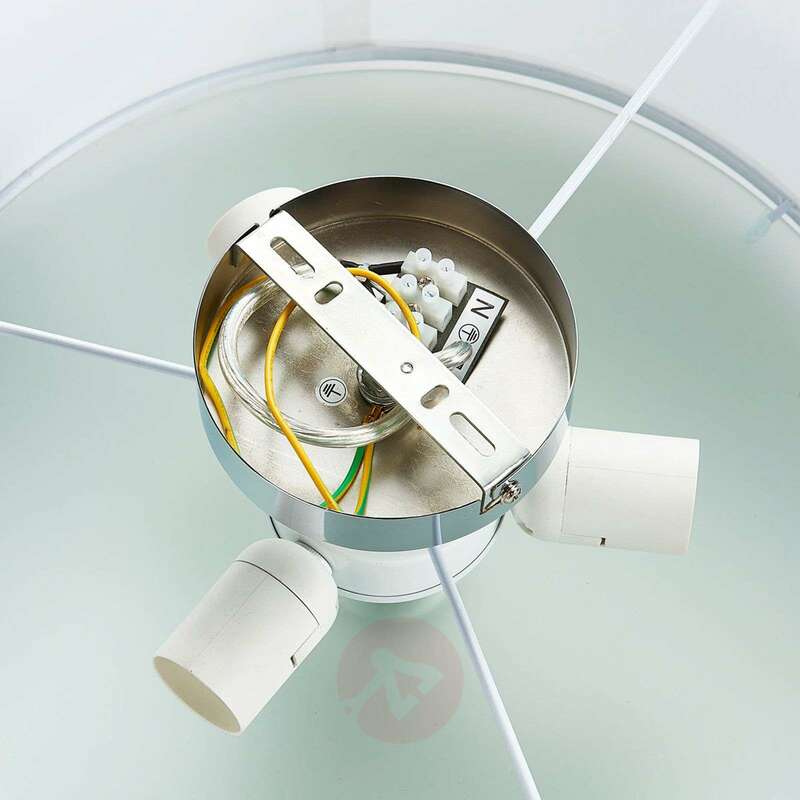 The Easydim bulbs differ from normal bulbs in that they can easily be dimmed using the wall switch. 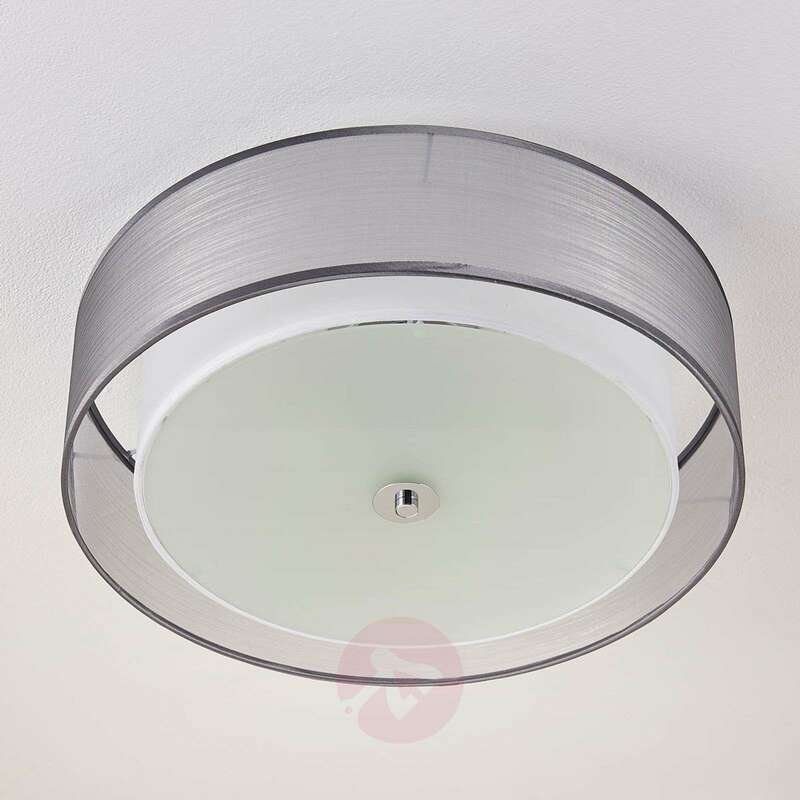 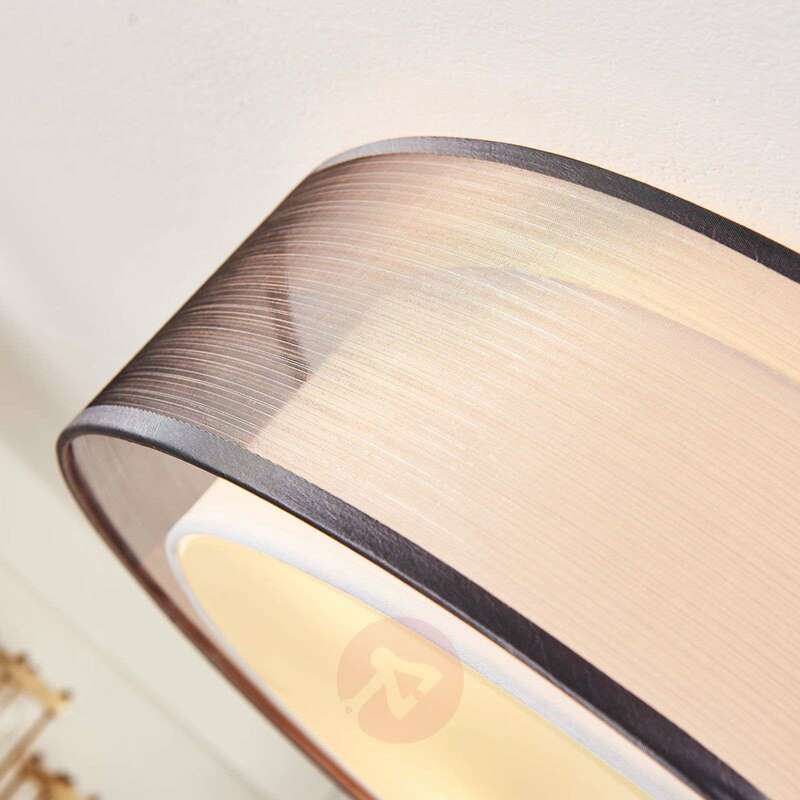 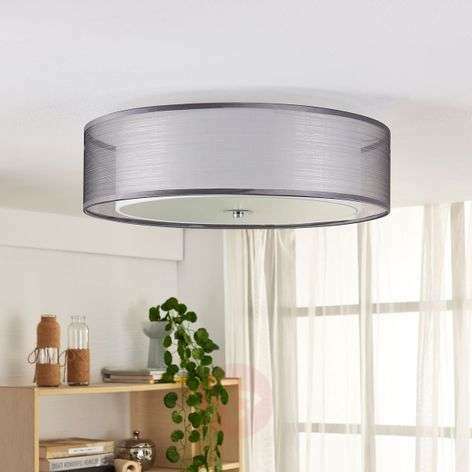 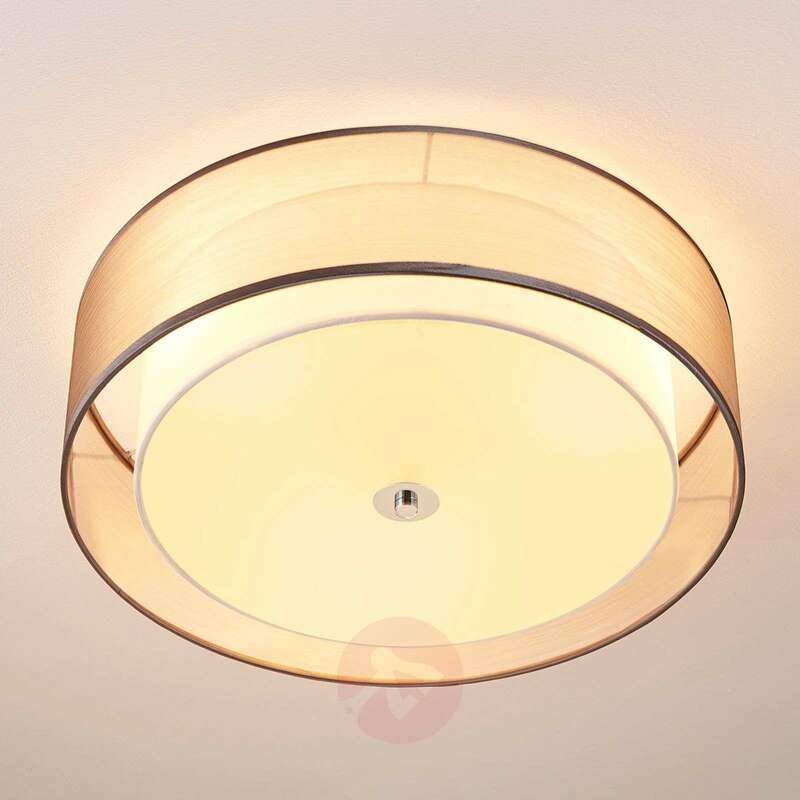 When the LED ceiling lamp Tobia is turned on, you can start the dimming process by pressing the switch twice in quick succession. 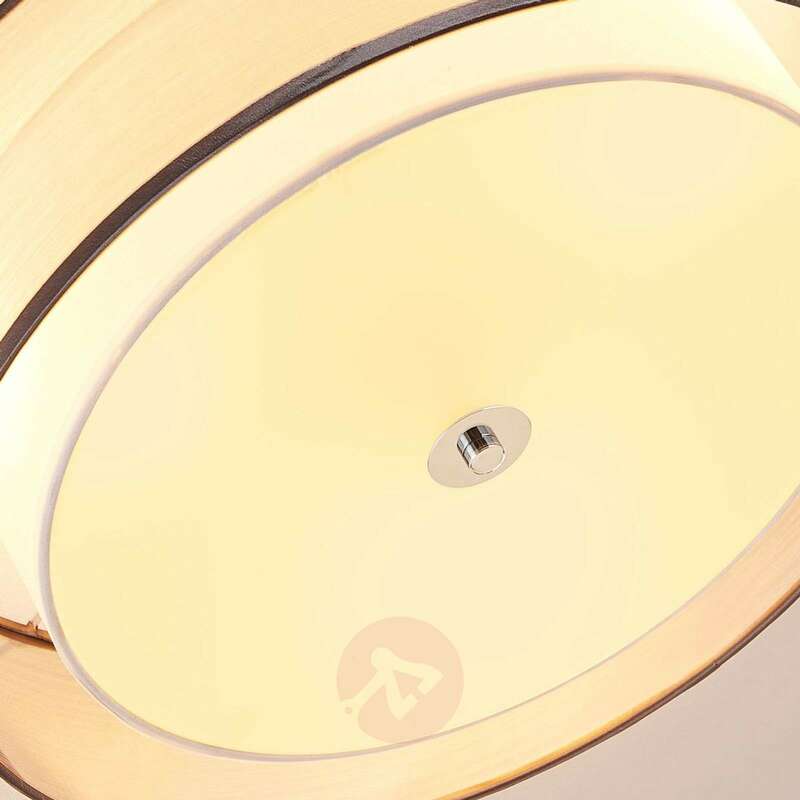 Repeating this switching process ends the dimming process and the selected level of brightness will be retained until you turn the light off again. 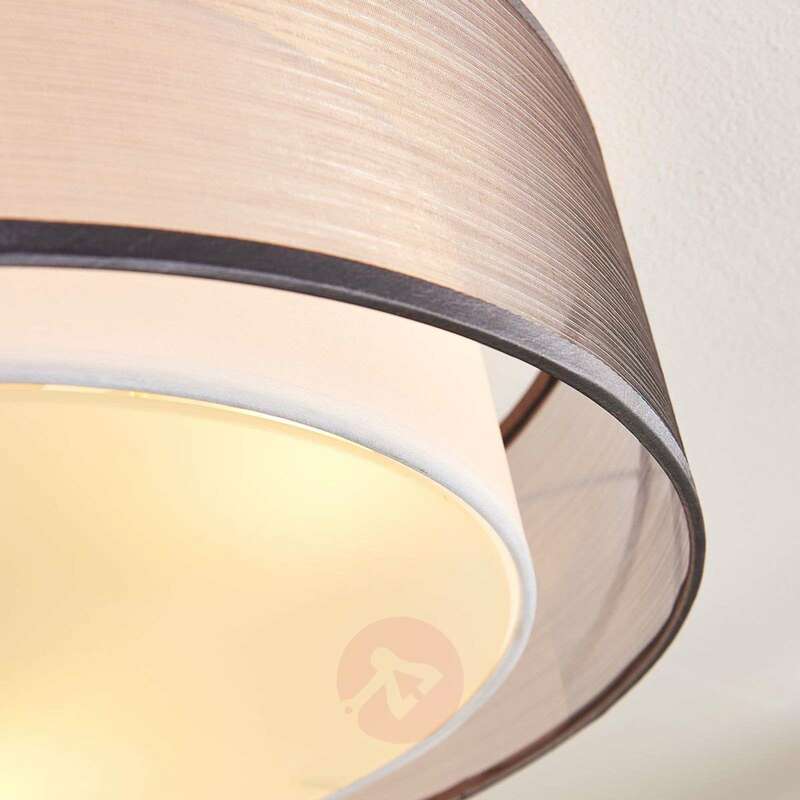 If you do nothing more, the level of brightness will fall to ten per cent of the light output.